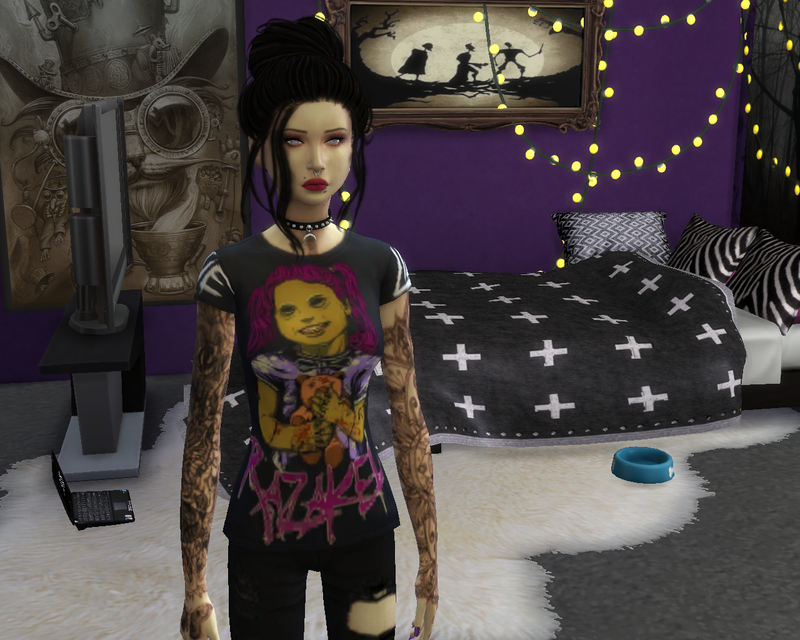 Mod The Sims - Razakel Custom T Shirt for your female sims! 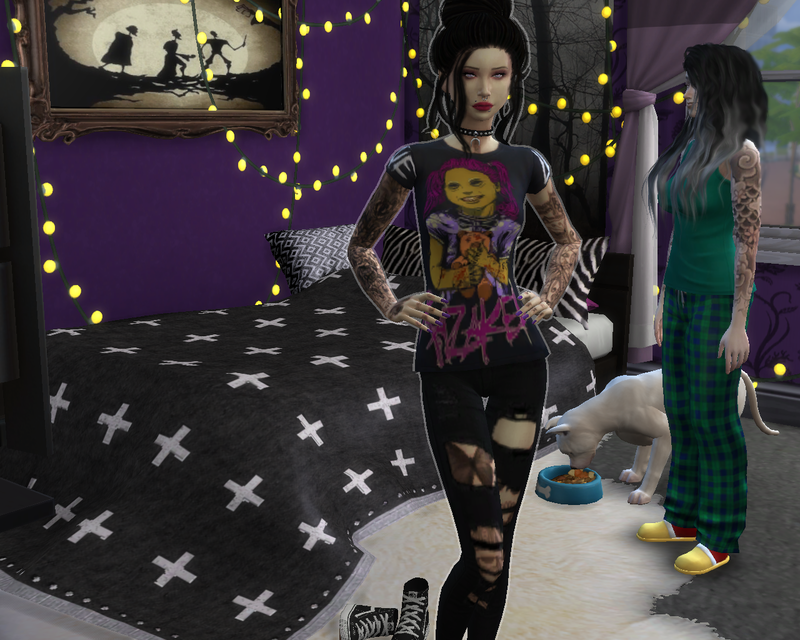 Razakel Custom T Shirt for your female sims! Hello! This is my very first upload on MTS. I am currently learning how to recolor and create my own items for the game! So hopefully my work will get better as I tinker more! 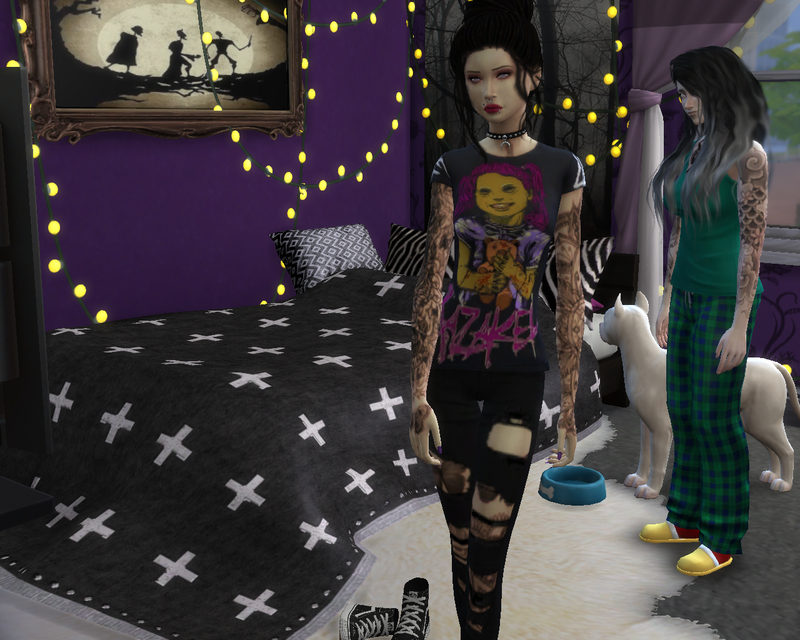 This shirt is a base game recolor of the plain black tshirt, it has its own swatch in CAS with the picture that is on the shirt! Razakel is a music artist I listen to, and hopefully some other simmers will enjoy this shirt! It is available for Adult, Teen, Young Adult and Elder. Razakel is the owner of this image!